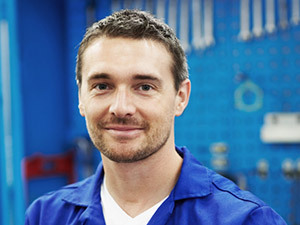 At Dynamic Repair Solutions, we understand that our service technicians are the public face of our company, and our reputation – and your satisfaction – rests in their hands. For this reason, we take great care to hire only the most qualified, skilled and professional wheelchair repair technicians in the industry. Should you trust us to service your power wheelchair or scooter, you can rest easy knowing that your repair technician will possess all of the traits necessary to help, and will provide prompt and courteous service. To arrange an appointment, contact Dynamic Repair Solutions today. We only hire qualified and experienced service technicians at Dynamic Repair Solutions. You can trust that your service technician will possess a comprehensive understanding of all major and minor components on your power wheelchair or scooter, including the electrical and mechanical systems. Whether you require routine maintenance or repair, they will provide quality service and bring your wheelchair back up to peak condition. When it comes to wheelchair repair and maintenance, we take a unique approach at Dynamic Repair Solutions – we specialize in on-site service. For this reason, it's incredibly important that our technicians not only be skilled and qualified, but highly professional as well. To ensure that our technicians are able to provide professional service, we conduct thorough background checks on all of our candidates. Our skilled technicians take pride in their work and find immense satisfaction in helping our customers maintain their sense of independence and freedom. We are confident that you will find our service technicians to be not only professional and knowledgeable on the workings of your power wheelchair or scooter, but personable as well. Our aim is for you to enjoy their company while they are in your home. Scheduling an appointment with one of our service technicians is as easy as calling us today at X-(888) 258-0602. Alternatively, you can email Dynamic Repair Solutions as well and one of our team members will get back to you shortly. The choice is yours.